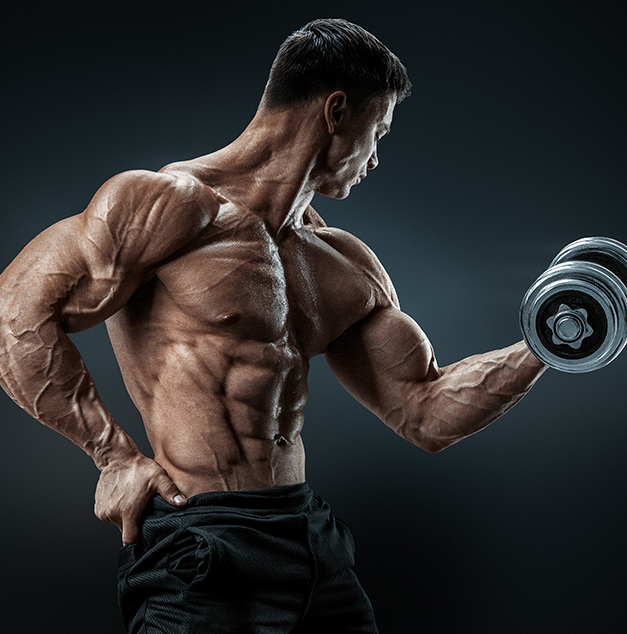 EHPLabs are a considerably new company in the supplement industry, however has already built up a formidable reputation and a loyal fan base with their customers, especially with their flagship fat burner supplement OxyShred. Since their initial release of 3 supplements upon the company’s inception into the market, the brand has stayed relatively quiet, choosing to focus on building a base for their initial supplements. Having achieved this goal, EHPLabs have decided to release a further four supplements, one of them being a branched chain amino acid, intra workout and recovery supplement known as Beyond BCAA. Let’s have a look at what’s in Beyond BCAA and see how well it competes with similar supplements. Intra-workout supplement including a high dose of branched chain amino acids in a 2:1:1 ratio. Added recovery and performance ingredients including B vitamins, citrulline, Alpha HICA and electrolytes. 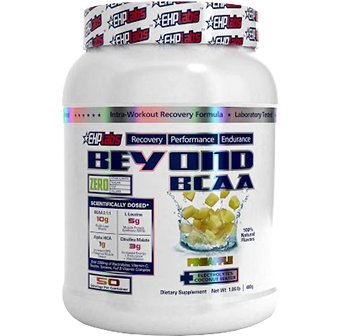 Beyond BCAA is available in a 480g tub with 50 servings of roughly 9.6g. The other ingredients making up Beyond BCAA include natural flavours, other flavouring agents and ingredients to maintain the shelf life of the product. Faster recovery from exercise is one aspect that separates trainers who get good results and trainers who get great results. For trainers that train at high intensities and with heavy and large volumes, the rate of muscle protein breakdown is increased. Since a third of our muscle is made from the branched chain amino acids of leucine, isoleucine and valine, supplementation of these essential amino acids makes sense with multiple studies consistently showing their anabolic and anti-catabolic effects. Having some BCAAs during your workouts is an ideal way to strengthen and improve your results and gains and avoid a high rate of muscle breakdown. The ideal 2 scoop serving of Beyond BCAA contains plenty of BCAAs to help support muscle growth and decrease muscle breakdown whilst also supporting energy levels and rehydration capacity; all factors that can limit gains if not addressed. One of the highlights is the inclusion of Alpha HICA or alpha hydroxyl isocaproic acid; an end product of leucine metabolism which has been shown itself to support gains in muscle mass. Unfortunately, to get enough BCAAs to really make any difference, you do need a double scoop of the supplement, which can minimise the total number of servings and therefore essentially double the price of each serve, which can be expensive in the long run. Branched chain amino acids however are not cheap, but well worth it when compared to the benefits that can be reaped from its use. EHPLabs are well known for excellently flavoured products. Just take a look at their OxyShred fat burner supplements. The new Beyond BCAA will be available in a similarly delicious range of 4 flavours including: Strawberry Daiquiri, Kiwi Strawberry, Pineapple and Paradise Fruits. While all four flavours are tasty in their own right, the two best are Kiwi Strawberry and Pineapple. All the flavours however are extremely refreshing and also mix extremely easily. A good intra-workout is always a necessary addition to complete a full range of products and is ideal for serious trainers looking for a greater edge when it comes to meeting their goals. With the continued success of their fat burner OxyShred and their brand, EHPLabs have released another excellent product into their range, which stacks easily with all of their products.